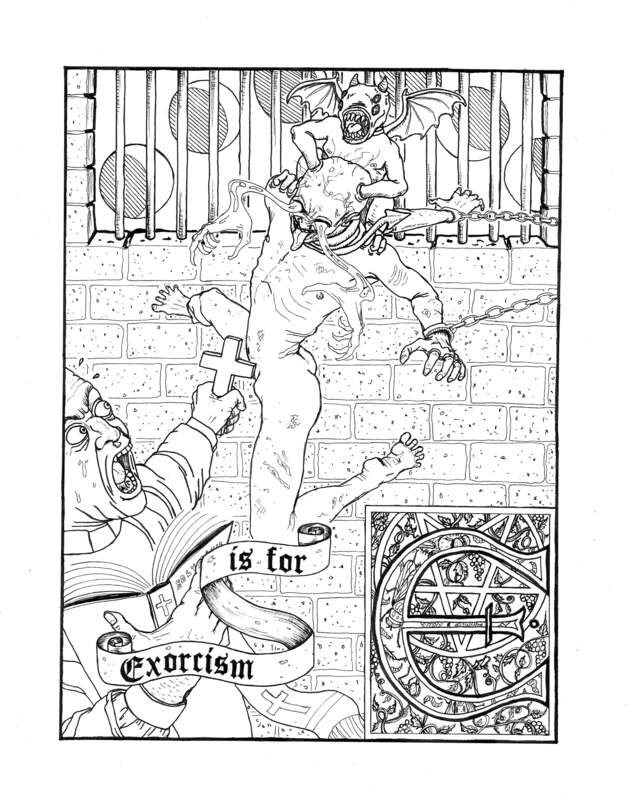 My very talented sister and fellow Horrorfeminista, Kristine Scheiner, is drafting her latest color book, The Occult ABCs, and we’ve decided to hold a coloring contest during our hands-down favorite month, October. 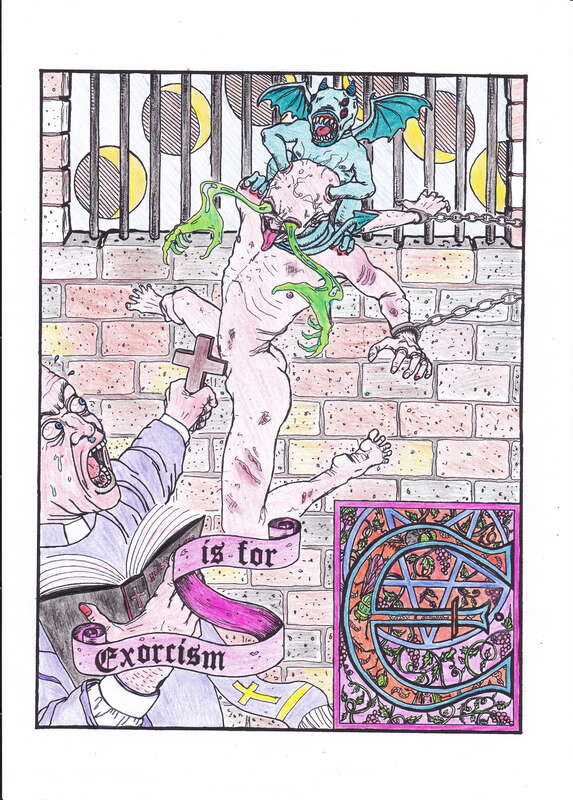 Enter the Occult ABCs coloring contest and win big! Step 2: Color to your heart’s content—go gross, go pretty, go CRAZY!!! Step 3: Tag your page on Instagram with #occultabcs @horrorfeminista for a chance to win. Entries must be posted by October 31, 2015, midnight EST. If you don’t have an Instagram account, you can scan your coloring page and send it as a jpeg or pdf file to horrorfeminista@gmail.com. The winners will be announced November 5, 2015. This first entry comes all the way from Edolo, Italy. Very good coloring is happening there. Albertine Dissects Punk in Clothes, Clothes, Clothes. Music, Music, Music. Boys, Boys, Boys.